You may remember Jordan and Chris. It was almost a year ago that these two crazy kids got engaged right before our eyes! I was lucky enough to photograph that proposal for them along with their engagement session and SOON, I'll be photographing their wedding! There is nothing more amazing for me than to be a part of such exciting events in Jordan and Chris' lives. Especially because they are two of the funnest people you will ever meet. You know it's been forever and a day since I shot this engagement session because Jordan and Chris were actually kind enough to meet me at Lake Anna, where I was vacationing with Erik's family at the end of July. To say, there are a backlog of photo shoots I've been trying to share might be an understatement. But, what can I say... there are too many awesome clients for this twice a week blogging schedule! 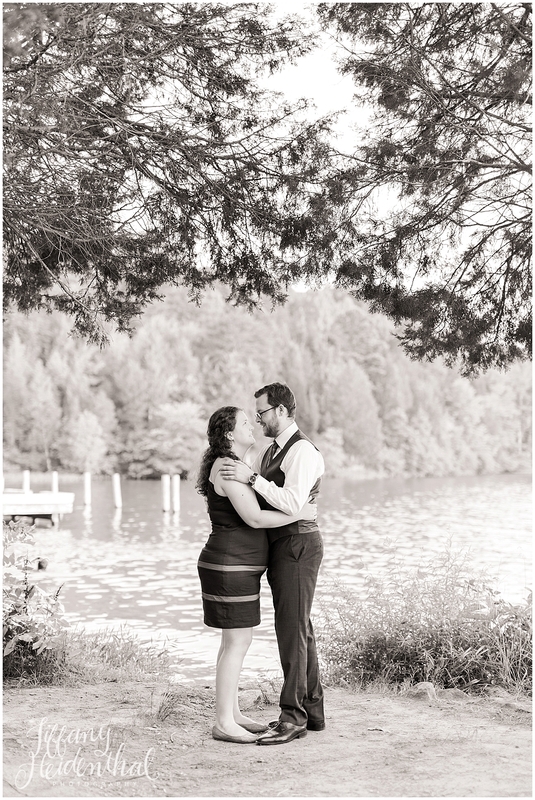 Lake Anna turned out to be a spectacular setting for these engagement photos. The water was lovely, the weather was perfect, and Jordan and Chris are pretty much the best. They were up for anything and laughing contagiously the whole time. 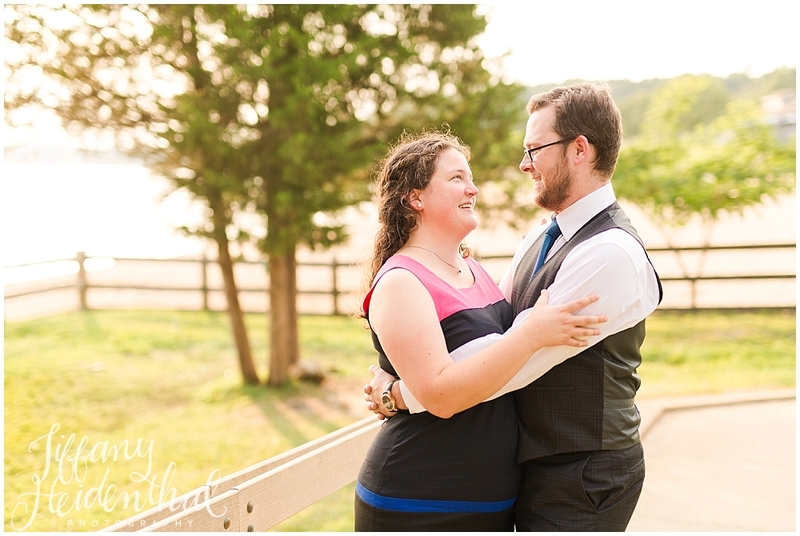 I love when the couple I'm photographing is just relaxed and hanging out, not taking the shoot too seriously. It makes for natural photos with easy interactions! My favorite part of these photos might be the epic Star Wars vs Star Trek T-shirt battle. If you're wondering why they look like they are choking each other, well, these are all just references to the the clash of their respective fandoms! What a great idea for incorporating something you love into your engagement session in a meaningful way!